Are You Compliant With Gas Safety Legislation? Maintenance: They should ensure appliances, gas pipework and chimneys are safe for the tenants. Gas engineers service gas appliances according to the manufacturer’s instructions. If no manufacturer instructions are available, ST Heating Servicing Ltd professionals employ due diligence and care when performing the checks. Record: The existing tenant should have a record of the annual gas safety check after 28 days of completion. If his tenancy is less than 28 days, he can display the copy of the document in a prominent place near his dwelling. The tenant needs to maintain copies of the record for two years. Gas safety checks: A gas engineer is required to conduct annual safety checks on the property. New regulations were recently introduced to allow landlords to arrange for safety checks 10-12 months after the previous inspection. The year 2018 saw the Health and Safety (HSA) directors discuss about altering the Gas Safety Installation and Use Regulations (GSUIR) of 1998. These changes should be enforced in 2019. They do not alter landlords’ responsibilities regarding safety; instead they have been altered to make conformity with the existing duties simpler than before. Flexibility in Timing of the Landlord’s Annual Safety Checks: Landlords are required to perform the annual safety check two months before the expiry of the previous inspection. This amendment gives the landlord a window between 10 and 12 months after the previous check, letting him or her obtain another gas safety record of up to two months before the existing record expires. Perform Alternative Checks: The new regulations have made a provision for rental properties, which are not installed with meters that measure heat input and the operating pressure. The law extends this scope to include properties that have inaccessible meters or faulty meter displays. Safe operation: Our gas engineers carry out gas safe inspections on all appliances and issue a gas safety record that highlights all the checks performed. 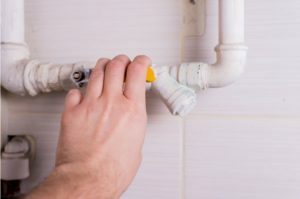 Maintenance: Apart from the safety checks, the engineer assesses the physical condition of the appliance, the installation of the air vents and pipework while checking for wear and tear. Round the clock support: Our professionals are located in Manchester and in the North West part of the UK to ensure accessibility to all our clients.